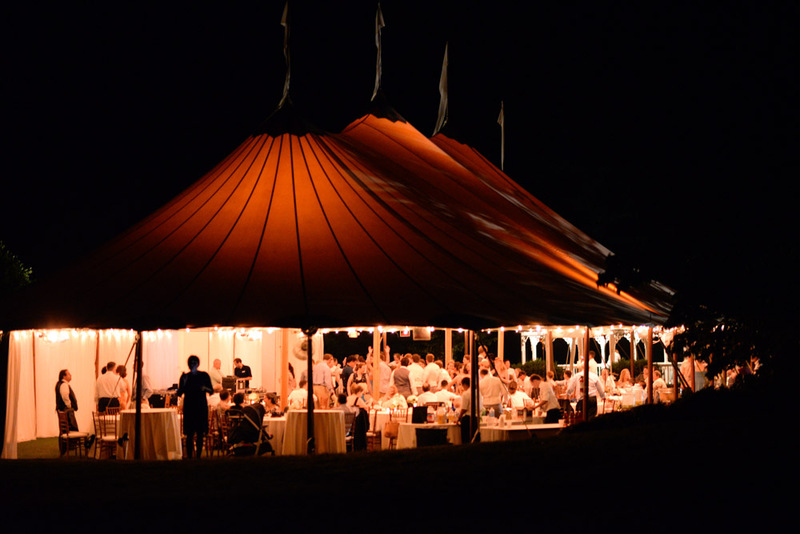 Congratulations to Danielle & Michael who were married at Keswick Vineyards on Saturday, July 18th. These high school sweethearts finally tied the knot! 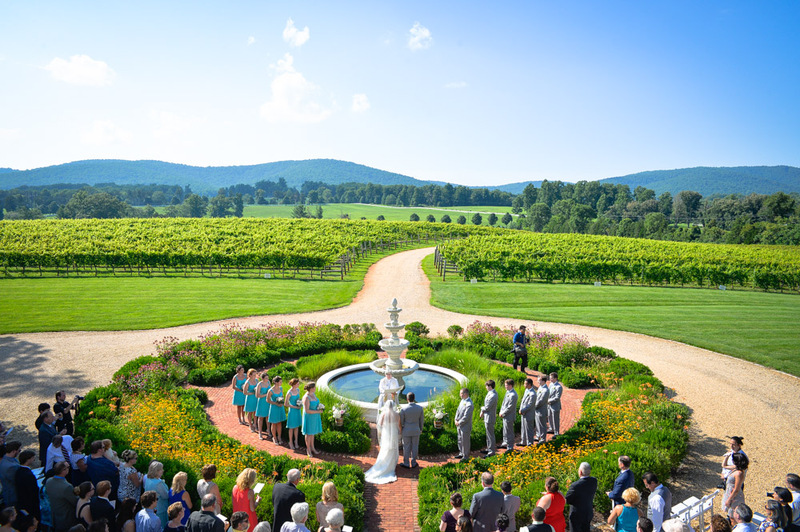 They chose to have their ceremony up near the front fountain of Edgewood Estate with the vineyard and mountains as their background. I loved the floral arrangements that were hung on shepherd hooks on each side of the alter. The arrangements were done in little wine barrels! 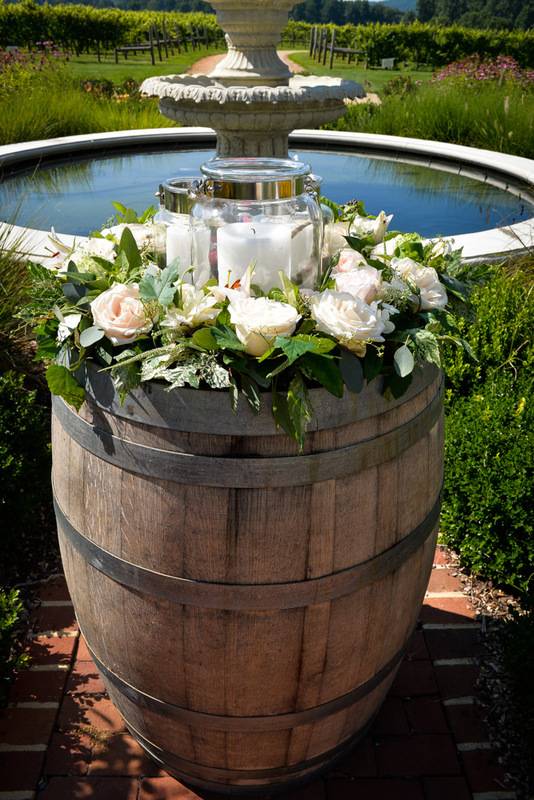 Their florist also made a wreath to go around the top lip of a wine barrel to dress up their unity candle. What a beautiful ceremony they had! After the ceremony guests enjoyed some cocktails and getting some pictures taken in a photo booth. Guests were entertained by the wedding party as they performed a group dance. Get a load of the photo of Michael doing a lift/dip with Danielle. So much fun was had through out the evening with a sparkler departure as they left in a vintage car. 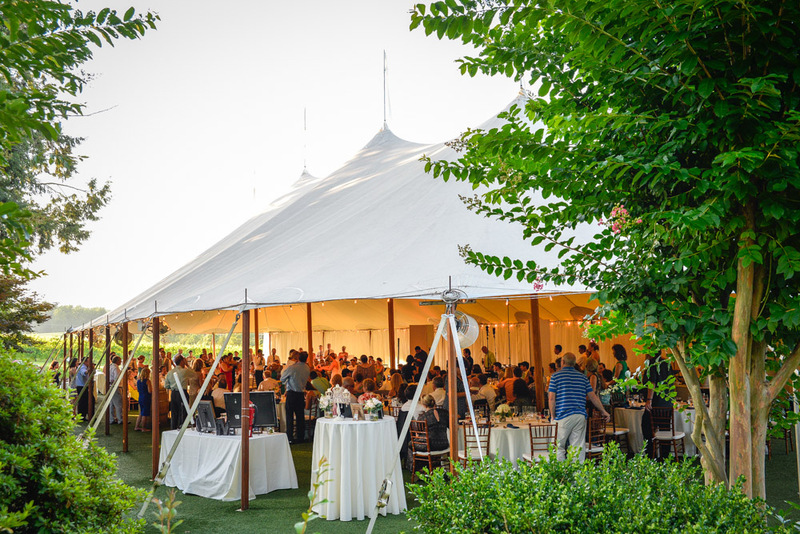 Special thanks to the following vendors: Southern Inn Catering, Ken Pak Photography, Magnolia Quartet, Videographer by Astro Entertainment, Sanders Family Photo Booth, Secret Gardens Florist, Officiant Pastor Sandy Wisco, Passionflower Cakes, Albemarle Limousine, Hair & Make-up by Ulta Beauty/Salon Ceilo.